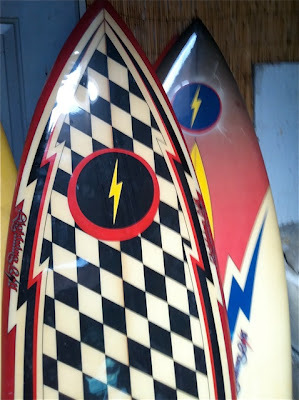 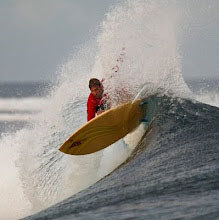 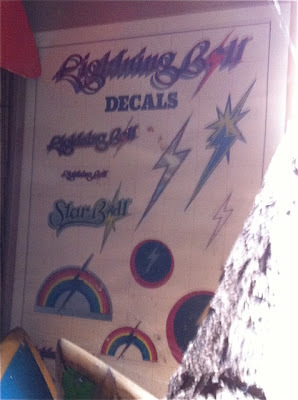 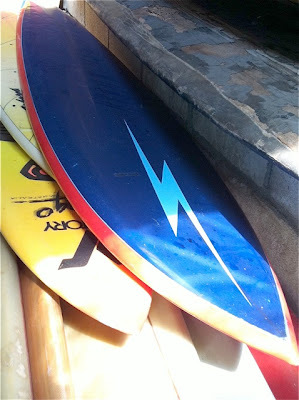 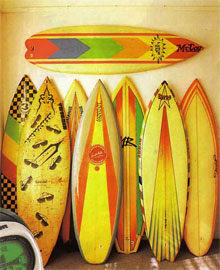 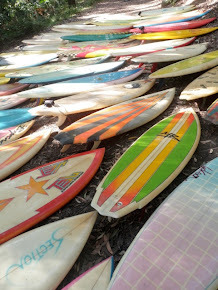 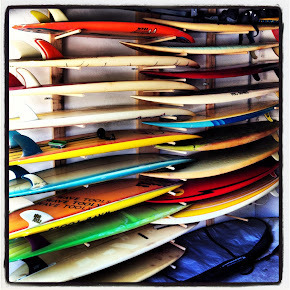 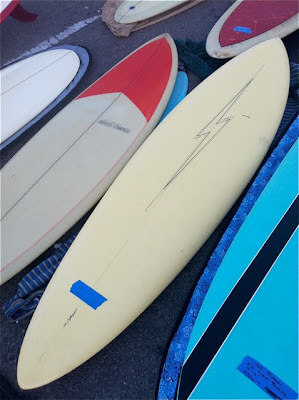 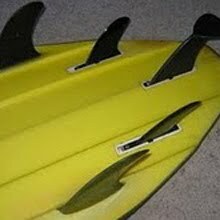 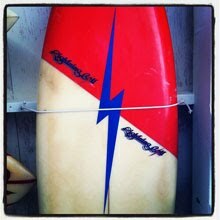 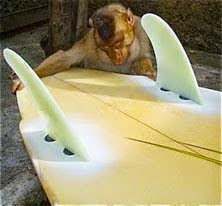 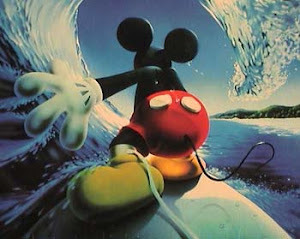 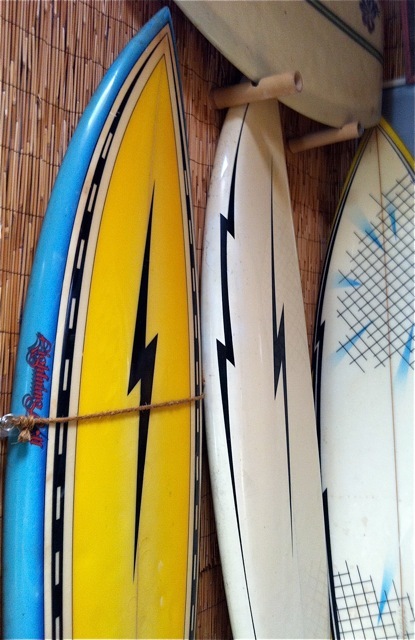 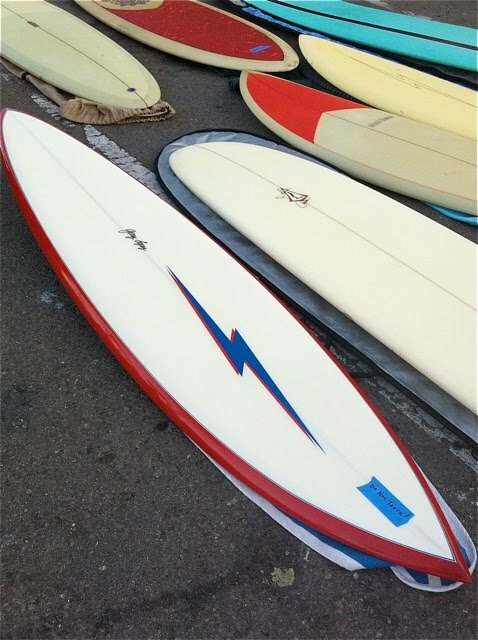 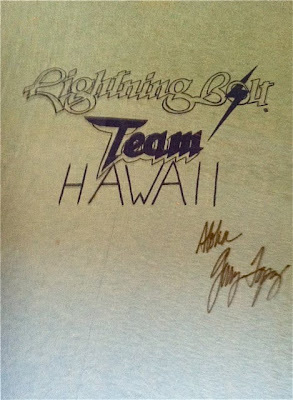 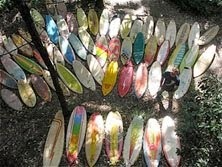 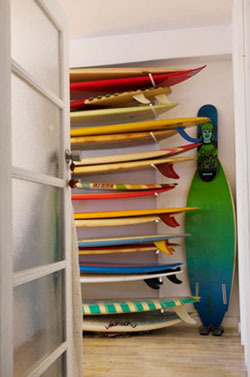 Authentic Hawaiian or U.S built Lightning Bolt single fins from the 70's are a rare find where I'm from. 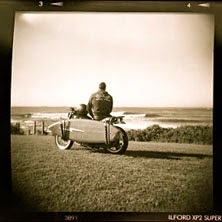 I can remember only seeing 2 in the last 10 years in Sydney. 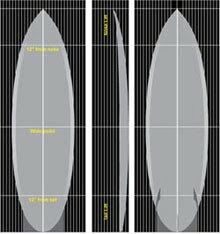 But its a different story in California. I felt like Al Pachino in Scarface when I was at the Oceanside swap. 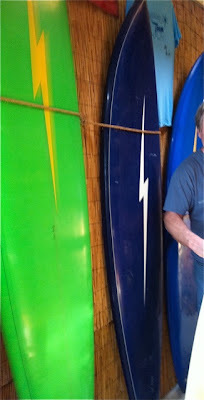 It was a huge over indulgence to be surrounded by so many Bolts all in the one place. 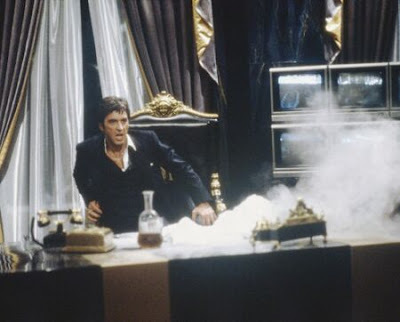 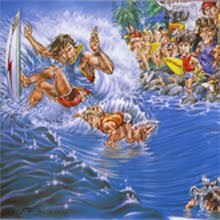 I felt like collecting them up into one pile and just rubbing my face in them like Scarface does with that huge pile of Peruvian marching powder. But it seems everyone in California has a pretty serious Bolt collection going on. 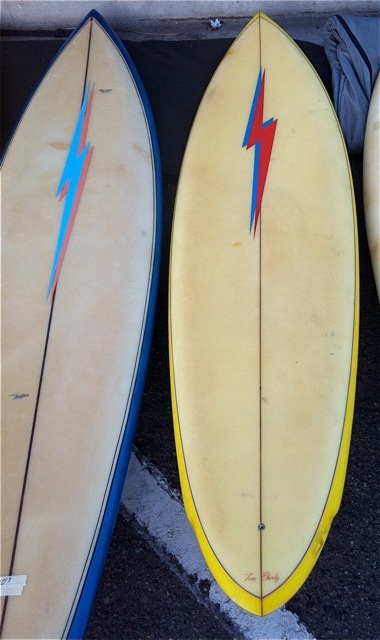 As well as twins my friend has a healthy stash of 70's Bolt singles as well.